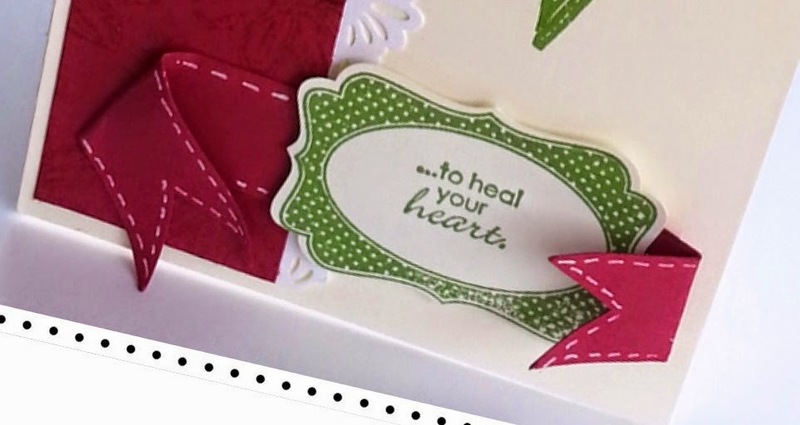 Today's project is for card-makers out there. I love to make cards for all occasions. 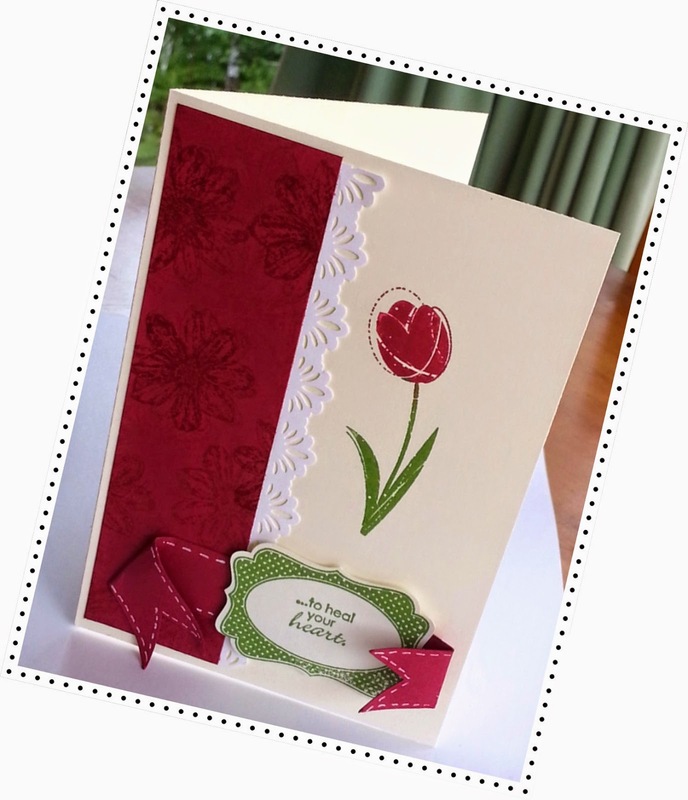 The tulip card I created is one that can be adapted for general greetings, birthdays, thank-you's, etc. Keep the layout but change the tulip stamp to some other flower stamp. Have fun with different lace border punches. Try different colour combinations. Sometimes I think you just need a basic layout to guide you and your imagination does the rest. I am including the instructions I wrote and use in workshop classes. Have Fun! 8. Adhere both to the front of your card leaving a small border on three sides. 1. With a White Gel Pen add faux stitch lines to the ribbon. 2. On the inside of your card stamp a sentiment.